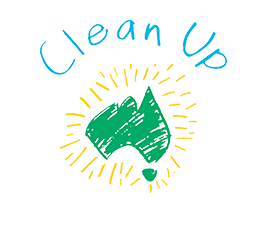 Stay in the loop with all things Clean Up Australia by joining our mailing list! 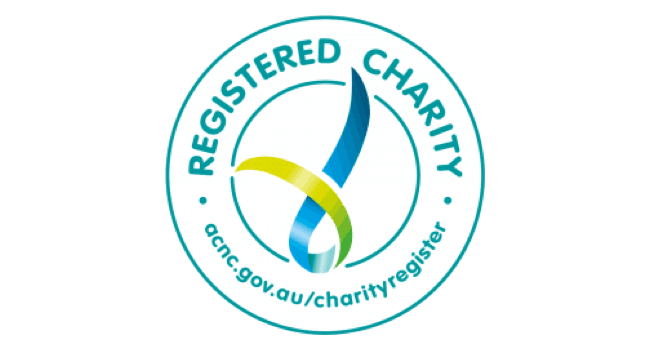 Persons participating in a Clean Up Australia Day campaign must agree to the following terms and conditions prior to their registration being accepted by Clean Up Australia Ltd. If entering online, participants must check the ‘I agree’ box prior to completing the registration process. Postal registrations must be received on the official ‘Site Registration Form’. Volunteer registrations may be completed either online prior to the event or on the official 'Volunteer Registration Form' at the respective Site on the day. Participants must sign to acknowledge acceptance of the terms and conditions. An authorised parent or guardian must sign the entry form for children aged 15 years and under. 1. I agree that Clean Up Australia Ltd and local event organisers will not be liable for; any injury sustained by the participant; any loss or damage to property owned by, or in the possession of, the participant; any act or omission, negligence of fault of any person participating in the Clean Up. 2. If acting as the Site Supervisor, I certify that I am 18 years of age or older. 3. If volunteer participant is 15 years of age and under, I certify that I am the parent / legal guardian and she / he has my consent to participate in the Clean Up activity. 4. I acknowledge and consent to photographs being taken of me during my participation in the Event. I acknowledge that the photographs maybe forwarded to Clean Up Australia Ltd to use the photographs for promotional or other purposes without my further consent. If entering online, participants must check the ‘I agree' box prior to completing the registration process. Postal registrations must be received on the official ‘School Site Registration Form'. By registering a Schools Clean Up, the Site Supervisor is agreeing that all participants attending on the day are under the responsibility of the school and covered by the school's insurance. 2. If acting as a Site Supervisor, I certify that I am 18 years of age or older. 3. I acknowledge and consent to photographs being taken of me during my participation in the Event. I acknowledge that the photographs maybe forwarded to Clean Up Australia Ltd to use the photographs for promotional or other purposes without my further consent. All kits will be posted to Site Supervisors who have registered at least 2 weeks prior to the event. All material on the site is protected by copyright unless otherwise noted and may not be used except as permitted in these Terms and Conditions or in the text on the site. Additionally, you may not distribute or transmit, modify, reuse, report, or use the contents of the site for public or commercial purposes, including the text, images, audio, video and programming code that makes up the web pages, without the written permission of Clean Up Australia Ltd.
Materials displayed on the site are either the property of, or used with permission by, Clean Up Australia Ltd. Any unauthorised use of the images may violate copyright laws, trademark laws, the laws of privacy and publicity, and civil and criminal statutes. The use of the site is at your risk. Clean Up Australia Ltd makes no warranties or representations as to its accuracy or completeness and Clean Up Australia Ltd specifically disclaims any liability or responsibility for any errors or omissions. Clean Up Australia Ltd nor any other party involved in creating, producing, or delivering the site is liable for any direct, incidental, consequential, indirect, special, punitive or exemplary damages or any loss of business, interest, revenue or profit arising out of your access to, or use of, or inability to use or access, the site. Clean Up Australia Ltd is not responsible for the accuracy of any hyperlinks, content, or advertisements contained on, distributed through, or linked, downloaded or accessed from any of the services contained on the site. Your linking to any other site is entirely at your own risk. While Clean Up Australia may provide links on this site to other sites, the inclusion of such links is for your convenience only and should not be interpreted as an endorsement of the owner/sponsor of the site or the content on the site. Clean Up Australia disclaims all warranties, express and implied, as to the accuracy, validity, legality and otherwise of the materials or information contained on such sites.